The Saturday morning breakfast tour begins at 9 a.m. in NOMA Plaza, in front of Roost Restaurant located at 220 N. Main Street. Enjoy your walk as we explore the quaint downtown, tree lined streets of Greenville and share with you interesting historical tidbits and stories. At the four unique breakfast stops we will visit, you will enjoy chef inspired creations crafted from locally sourced ingredients. Learn more about the restaurant histories and culinary philosophies and how they apply these to their menu items. Discover what it's like to "Eat Like a Local" in Greenville. If you are passionate about eating, enjoy learning about great food, enjoy time with your friends, and discovering new restaurants, then Saturday mornings will be a great time for you to take a Breakfast Tour. Eat like a local! You will discover well-known venues and hidden gems on this Saturday morning walking breakfast tour which will take your taste buds on a culinary adventure! Foothill Foodie Tours provides a look inside some of the best breakfast venues with the opportunity to discover their unique and extraordinary flavor profiles all while exploring this beautiful southern city. Along our journey, learn interesting historical information about our beautiful downtown and its transformation from a mill town to the beautiful southern gem it is today. On any Saturday morning, the downtown streets of Greenville are alive and buzzing with tourists and locals alike strolling along the tree lined Main Street, exploring the unique boutiques and one-of-a-kind crafts at the local markets. It's where everyone meets, to hang out, and enjoy some of our local musicians as they provide pop-up musical entertainment throughout the downtown area for your enjoyment. The local restaurants specialize in serving you the best farm raised and locally sourced, fresh ingredients. Don’t be surprised if at the end of the tour you start to feel right at home in our beautiful, southern city, and breakfast has become your new favorite meal of the day. Discover why this once sleepy southern town has become the "belle" of the ball and is rapidly becoming a hot new destination for everyone! Your tour begins at NOMA (North Main) Plaza, in front of Roost Restaurant, located at 220 N. Main Street. Their unique “farm to table” philosophy will be served up with a breakfast that is sure to please! The morning continues as we walk to another southern favorite that will tempt your taste buds with a real down home breakfast at Maple Street Biscuit Company. A short walk around the corner brings us to another downtown “hot” spot - Ink and Ivy. The chef is looking forward to serving you a fabulous made to order breakfast, again featuring locally sourced ingredients in a beautifully restored building. But wait, we are not done! Yes, there is one more stop on your breakfast adventure. Chasing Rabbits is one of Greenville's newest additions to the growing downtown culinary scene. The interior of this newcomer will have you feeling as though you have been transported to another time. Yes, Peter Rabbit may have visited here at one time. 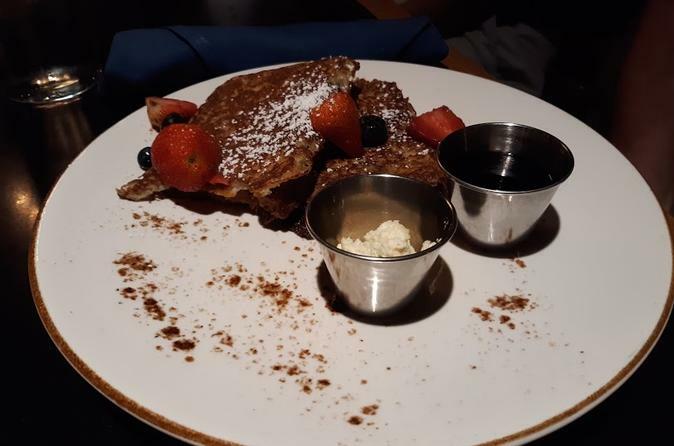 While you are enjoying the interesting decor and the unique boutique collection, your tour experience continues with a very special sweet treat to complete this fantastic Greenville breakfast adventure. This tour is sure to please. Book your tour experience today!